Spring 2010 was mostly spent in St. Martin/St. Maarten by Irie and its crew. 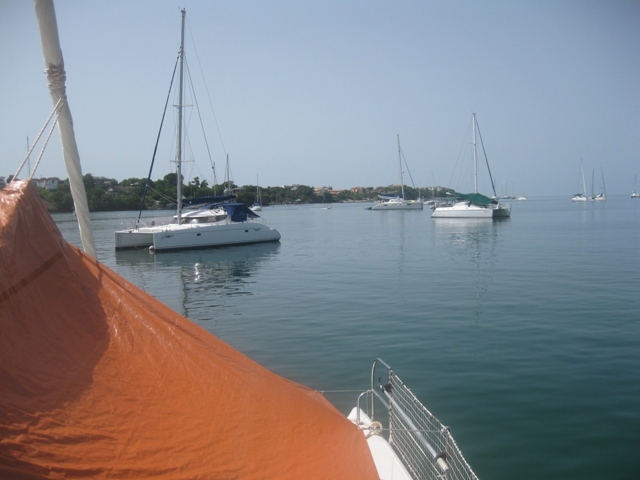 We anchored at our favorite “long-term” spot near Explorer Island in Simpson Bay Lagoon, a huge, protected surface of water. Working and selling Wiries were our goal. 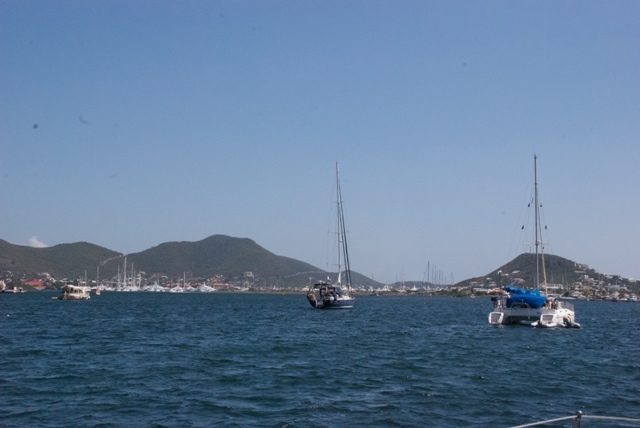 St. Martin evokes mixed feelings: it is busy but relatively cheap, touristy but convenient, cruiser friendly with Happy Hours and marine stores but money devouring because of it. The lagoon is sheltered from the swells, but distances are long. 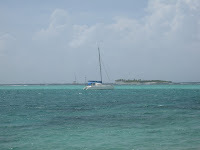 The trade winds turn into a very welcome natural fan, but the accompanied wind chop makes dinghy rides bumpy and wet. 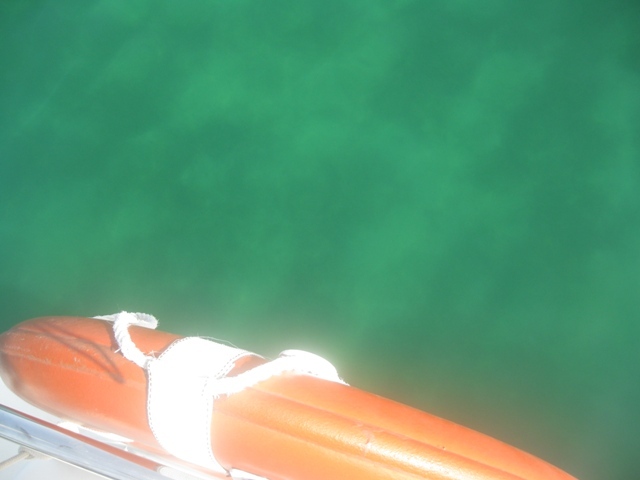 The blackish water turns every boat’s bottom and chain into an underwater rain forest. In short: we knew what to expect. The season progressed and summer arrived. At this point, we were making our way south through the island chain. Under motor. No need for sails. 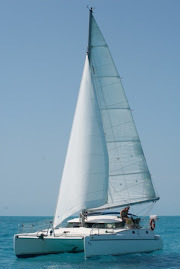 As usual, the wind dropped to zero along the coastlines, but even in the wide channels between the islands, the wind was but a flaky breeze, or it came out of an “un-sailable” direction. Living aboard became a hot endeavor. We couldn’t wait to get to Grenada, where, based on last year, the southern anchorages were comfortable. 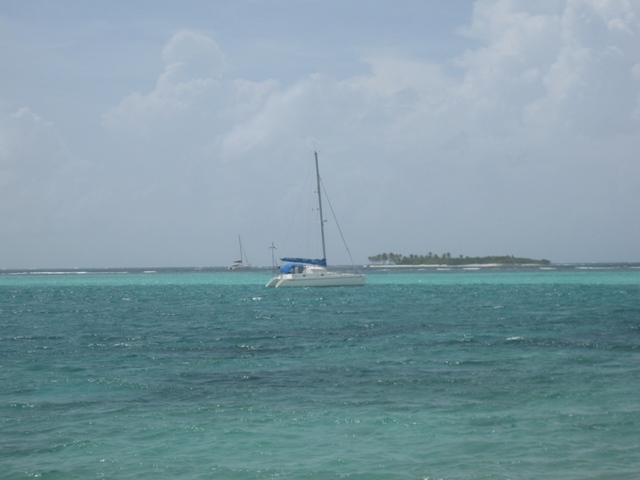 The Tobago Cays are a famous, wonderful and idyllic Caribbean destination. 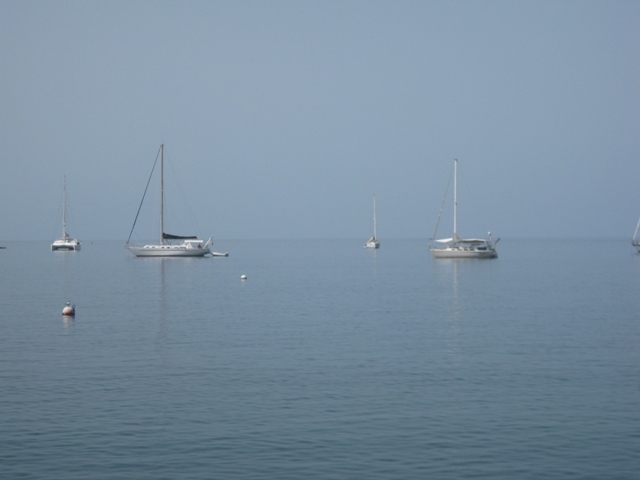 Brochures show clear, palm bordered water in all hues of blue. Not this year. Our watery surroundings were green and snorkeling with turtles and reef fish took place in cloudy water with green plant particles floating around and little visibility. No reason to spend a lot of time there; let’s move on to Grenada! The more time passed, the hotter the weather became, surely a typical behavior of summer, but this is the Caribbean… Where are the trade winds? Where is the attractive sea? We used to swim from the boat or the beach to cool off and stay cool for a little while. Now, jumping in the water resembles a bath tub. 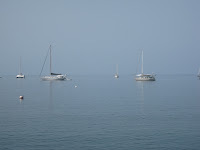 The water temperature is 88°F (31°C) and feels gross in the hot and humid climate. The heat index shows over a 100°F (38°C) almost daily. When it is raining, however, I do enjoy stepping into my ocean bath from Irie. The cold rain shower afterwards does the job as a “cooler-offer”. So, no electricity from the wind generator and little electricity from the solar panels, because the boat doesn’t lay in a certain direction anymore, but slowly turns and floats around all over the place. Careful not to hit any neighbors that might weigh a bit more, have less chain out, are attached to rope or are twice your length! Time to get the tarp installed for extra shade and a tad cooler interior. “Luckily” there is no wind to make havoc with it. And, keep that gas generator purring, because the boat batteries are low! 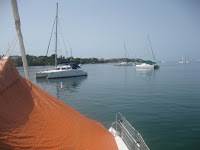 Yep, this summer, the Caribbean –and even Grenada- is pretty unbearable to live, work or sail in. Let’s hope Mr. Winter turns the world back to normal (at least in the islands). In the meantime, Mark, Darwin and I will spend fall in New England, USA.